I seem to do it EVERYDAY! 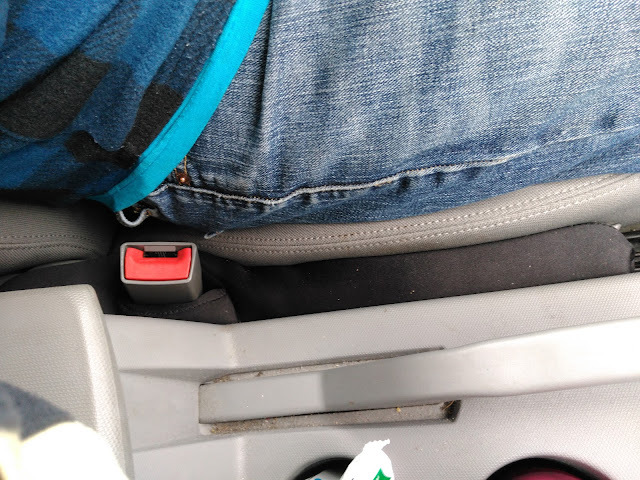 It is usually my cellphone that goes sliding off and down between the seats. Then I miss an important call, lose my directions or struggle to find it while I am driving! Yes, it is a hazard! Well just like me, millions of others have encountered this problem and there is finally an amazing solution to put a stop to the drop - DROP STOP! Drop Stop is an affordable vehicle safety and convenience invention that, quite simply, blocks that distracting gap once and for all. Drop Stop®, which is partnered with Shark Tank’s Lori Greiner was named Oprah.com's #1 way to declutter your car and is endorsed by various police departments and AAA as a must-have safety device to reduce driver distraction for all vehicles. 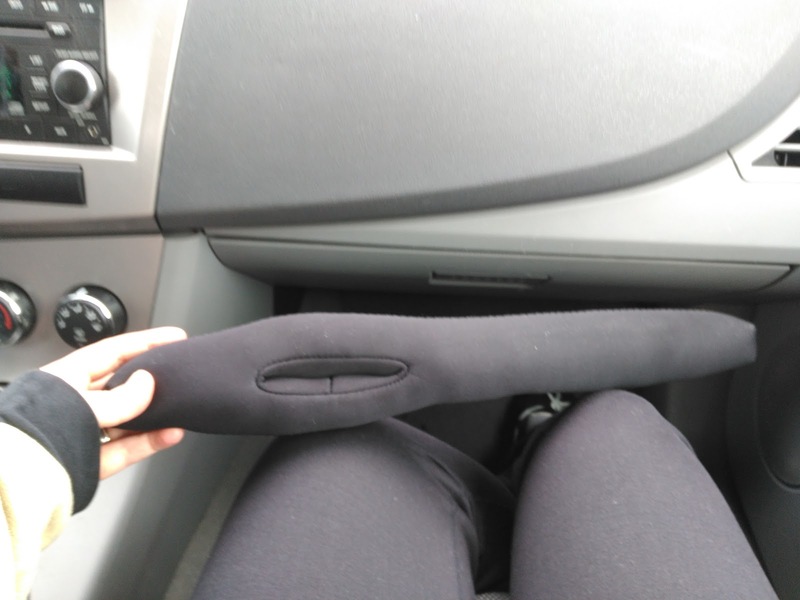 It’s designed to protect drivers of all ages in all Cars, Trucks, and SUVs. Every single day, there are accidents and deaths reported in the news of people looking away from the road reaching for a fallen phone, or other items. This is why Driver Distraction has now overtaken Drunk Driving as the #1 killer on the roads. Best part - Drop Stop is super easy to install and literally takes seconds! It is such an easy solution to such an annoying and dangerous problem! It just simply slips between the seats and over the seat belt for a tight, discreet fit. I don't even notice it is there...until I drop something and can find it right away!!! We put them in both our vehicles - both a car and a SUV - and they fit perfectly and looked great! They have already caught many crumbs that can not be easily vacuumed or wiped off and caught my cell phone many times as well! I love when there is an easy, affordable solution for common problems and Drop Stop is definitely that! 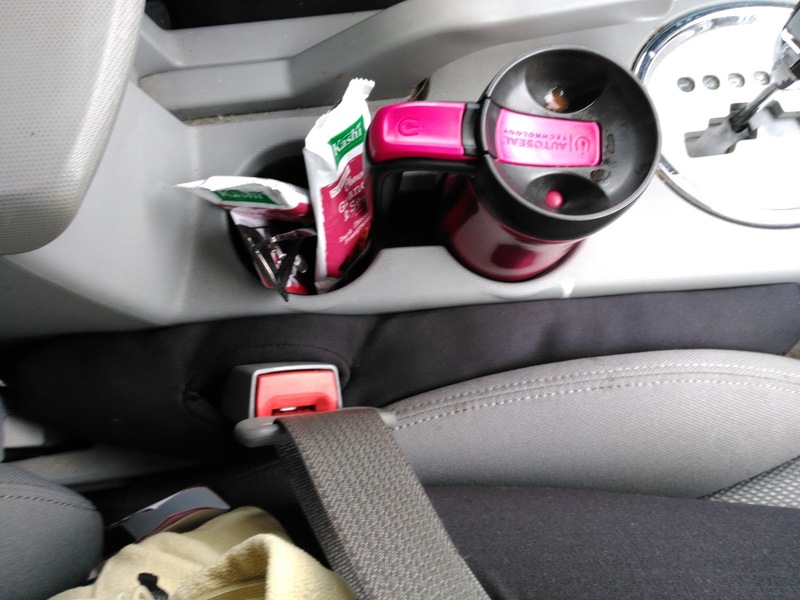 Get yours today and save extra stress, danger and missing items in your car from falling down the dreaded seat gap! 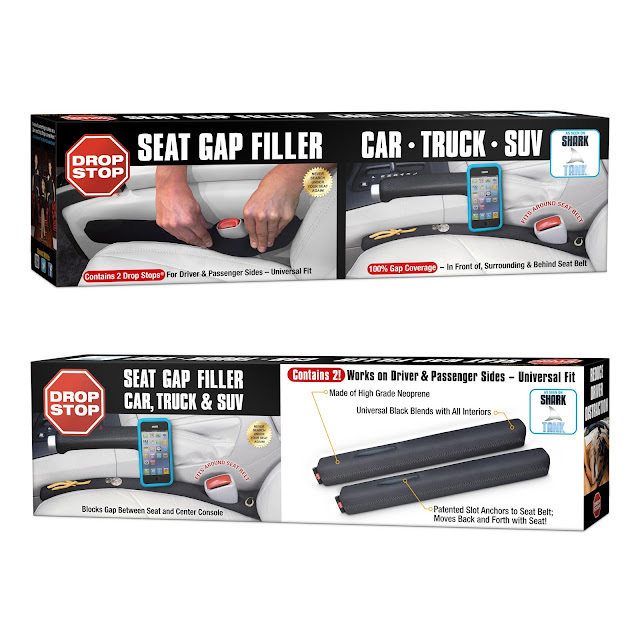 You can purchase the Drop Stop package (that includes 2 Drop Stops, 1 Slide-Free Pad, and 1 LED Credit Card Light) for $27.94 from the Drop Stop website. Drop Stop is generously offering (1) Drop Stop package to a lucky winner!